Dandruff is one of those hair ailments that has distressed men (and women) since time immemorial. Tons of natural and chemical remedies have been tested to varying results over the years but none have managed to provide a 100% solution to this problem. But one oil that has been massively underrated in this quest for an effective treatment for dandruff is castor oil. Why am I making such a huge claim, you ask? Well, before we tackle that, let’s look at what exactly causes dandruff and then know how to use castor oil for treating dandruff. Contact dermatitis triggered by certain hair care products like shampoos, dyes, hair sprays, creams or gels can irritate your scalp and lead to flaking, itching, redness, and ultimately, dandruff. Your scalp getting infected with the fungus Malassezia. Oil buildup that flakes off your scalp as a result of not shampooing your hair regularly. Having an overall dry skin type. Oversecretion of certain male hormones. 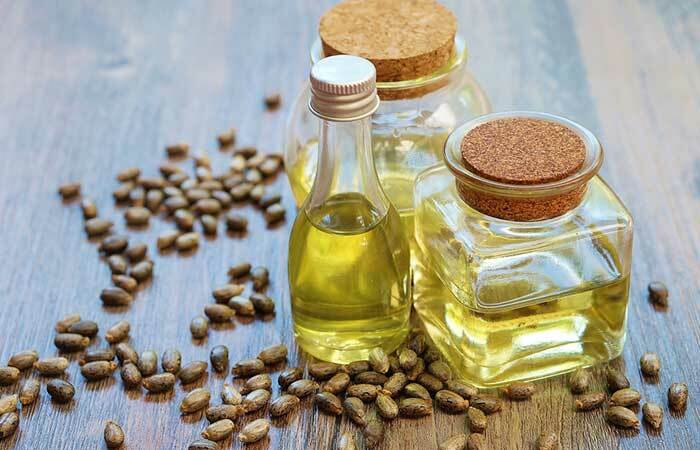 One of the major constituents of castor oil is ricinoleic acid, which works as an excellent antimicrobial and fungicidal agent. Thus, it effectively fights off fungal infections of Malassezia and scalp infections like seborrheic dermatitis to get rid of dandruff. 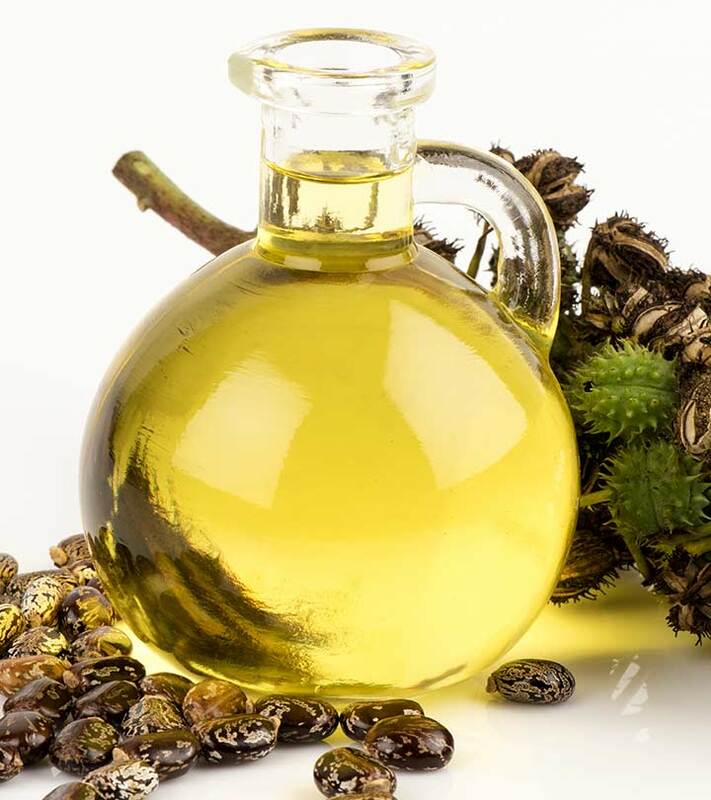 Castor oil also contains a high quantity of omega-9 fatty acids that act as a humectant. Thus, it moisturizes your hair and scalp and helps fight off dryness and dandruff. The minerals, omega-6 fatty acids, and vitamin E found in castor oil also moisturize your scalp and reduce itchiness that is caused by dandruff. Isn’t it fascinating to know that such a humble oil can solve such a big problem? 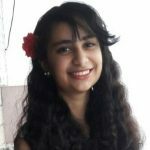 So, here are a few castor oil treatments that you can try out for yourself to get rid of dandruff. Now this what I like to call a triple threat for fighting dandruff. 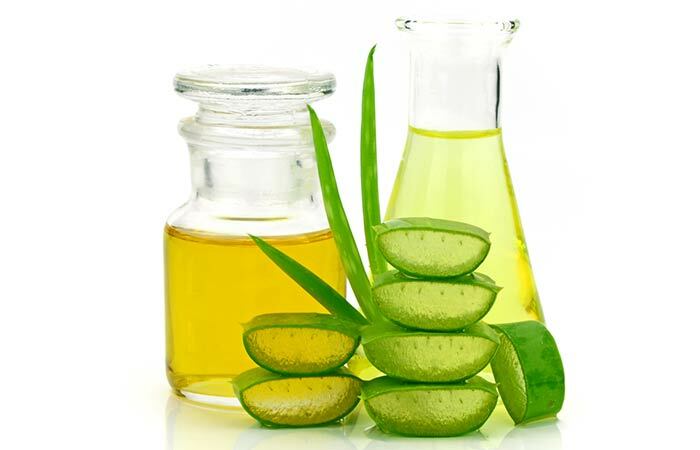 While both castor oil and tea tree oil fight against the fungal infection Malassezia that causes dandruff, aloe vera gel acts as a soothing agent to reduce the itchiness on your scalp. Mix the castor oil, aloe vera gel, and tea tree oil in a bowl. Apply the mixture all over your scalp and leave it on for 45 minutes. Follow this routine thrice a week. While castor oil works actively to fight dandruff, almond oil prevents it more passively by moisturizing your scalp. Rosemary oil, on the other hand, stimulates blood circulation on your scalp and boosts hair growth. Mix the castor oil and almond oil in a glass bowl and heat it in the microwave for a few seconds. Now add the rosemary oil to the mixture. Apply this oil mixture all over your hair and scalp and leave it on overnight. 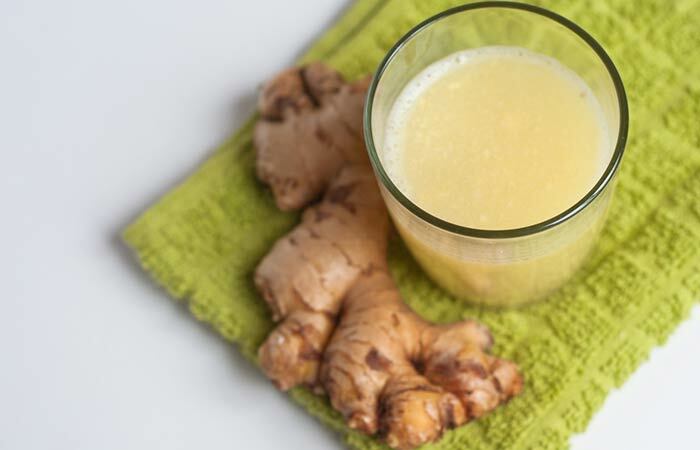 Ginger juice may seem like a stinky ingredient to put on your hair but it can actually do you a world of good. It can clear up clogged pores by cleansing away the dandruff, dirt, and product buildup on your scalp. This aids castor oil in its fight against dandruff. Mix the castor oil and ginger juice. Wash it off with an herbal shampoo. 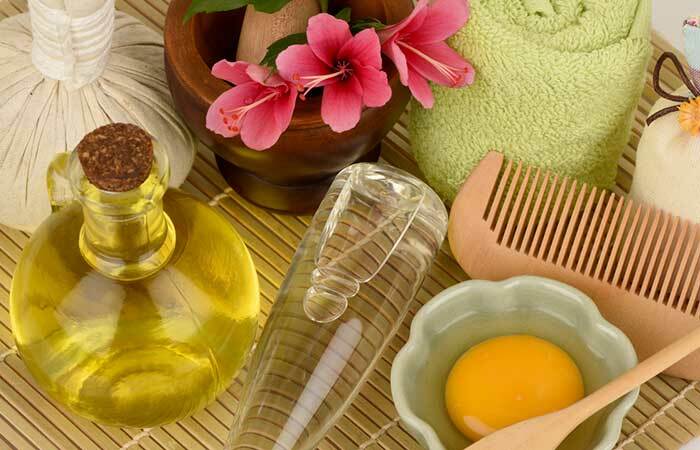 Using castor oil and argan oil on your head can not only help you get rid of dandruff but also give you softer hair. 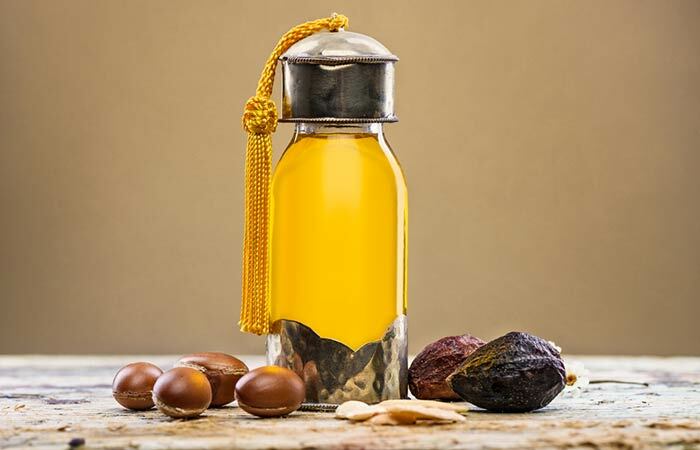 The moisturizing properties of argan oil can treat dandruff, tame down your frizz, and make your hair look shinier. Mix the oils in a glass bowl and heat it in a microwave for a few seconds. Apply the mixture all over your scalp and hair. If you want lusciously smooth, thick, and dandruff-free tresses, then this is the hair pack for you. Castor oil and coconut oil work gorgeously together to deep condition your scalp and combat dandruff. And the proteins provided by the egg nourish your hair and make it soft and shiny. Whisk the egg, castor oil, and coconut oil in a bowl. 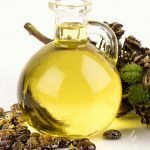 Generally, castor oil is safe to use on your hair, scalp, and body. However, you could experience some side effects if you are allergic to it. You could experience mild allergic reactions like redness, itching, swelling, and burning sensation to severe reactions like swelling, dizziness, and difficulty in breathing. So, it’s best that you do a patch test by applying a little bit of castor oil on your forearm or feet and leave it on for 24 hours to check if you are allergic to it. Yep, it’s that easy to use castor oil for treating dandruff! Amazing, isn’t it? So comment below to let us know which castor oil treatment worked best for you! When should I apply castor oil to my hair? It is best to apply castor oil before going to bed or an hour before washing your hair. Is it true that castor oil helps regrow hair? Yes, castor oil does help regrow hair. 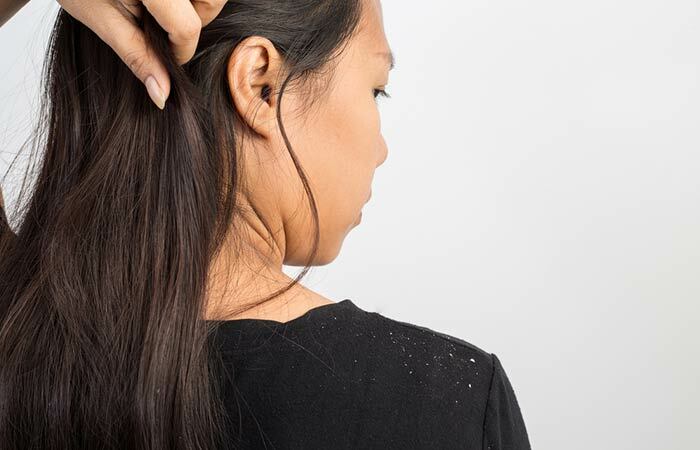 Yes, dandruff can cause temporary hair loss.